As a lot of people know, my Father was hospitalized last week, and I have just been running around doing everything I have to do around the house, and at work, so I haven’t had much time to sew, but I finally started up again, and it’s getting pretty intense! I’ve made 4 different quilted pillows, and I’m going to be showing one off each day for the rest of the week. I hope everyone likes them! 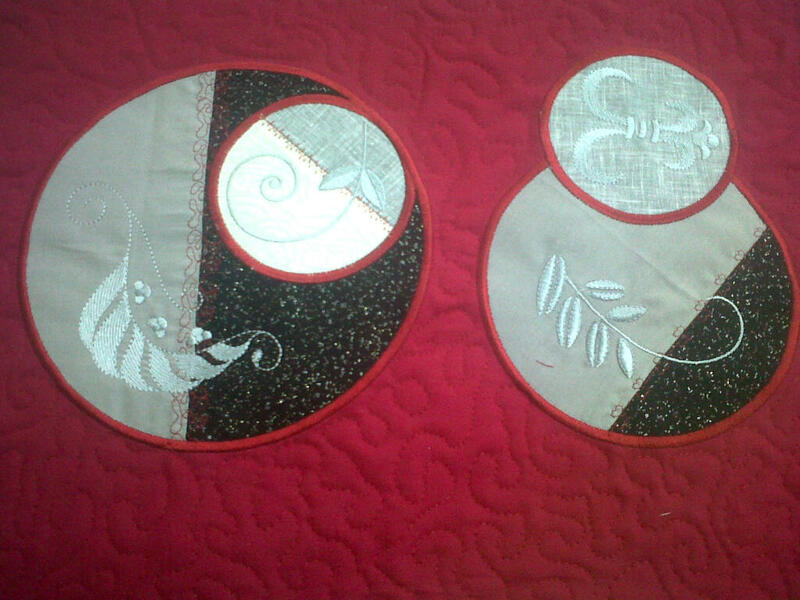 The one above has appliqued circles, and then embroidery designs inside of them. I went with monochromatic embroidery, as I didn’t want to take away from the circles. I’m thinkiing about doing a table runner like this! What does everyone else think? I like it, now share how you did it :)!